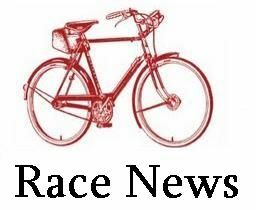 Posting your race results live! Below are a few samples of our results pages and how they have evolved over the years. We are contionually trying to improve processes by working with promoters to supply what is needed. Click on sample results image below to view actual page. 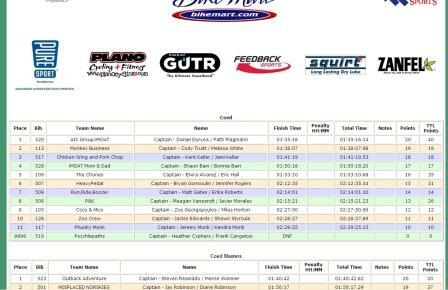 These results are scary and are from the first race we timed. In 2010 we added real-time display of race results on our large race monitor. These results are automatically updated and also uploaded to the internet. 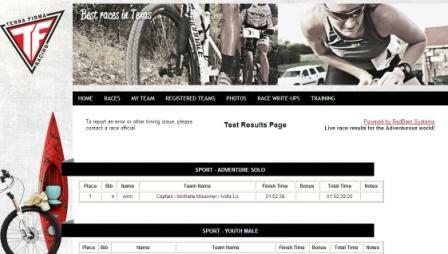 Adding the live onsite race results monitor was a huge plus for racers. Racers are now able to see lead advantages and to plan race strategy. Now we can match the look and feel of your website. 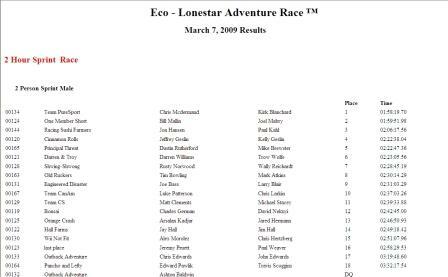 Live race results for the Adventurous world!